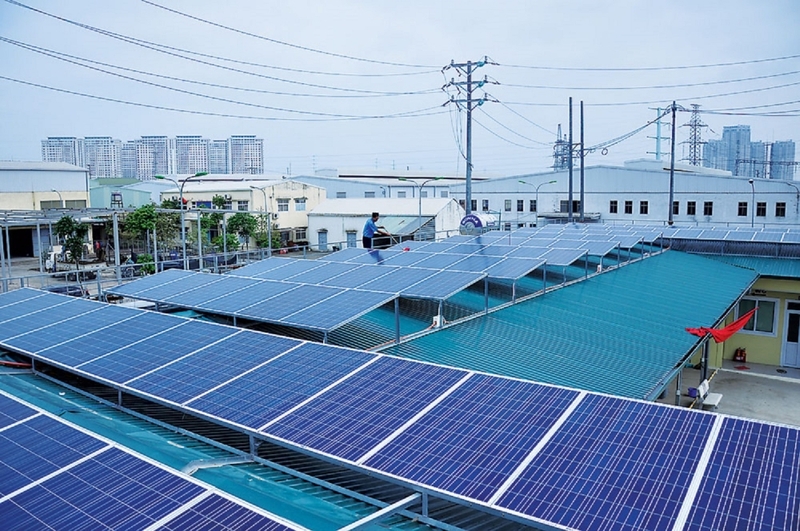 (VEN) - With favorable natural conditions, Vietnam has great potential for the development of renewable energy, such as solar energy and wind power. However, this development is facing some major challenges. According to the Electricity and Renewable Energy Department under the Ministry of Industry and Trade, the prime minister has approved the development of renewable energy sources in many documents. According to Decision 428/QD-TTg on approval of the revised national power development master plan for the 2011-2020 period with a vision to 2030, and Decision 219/QD-TTg approving a five-year (2016-2020) plan for production, business and investment development of the Vietnam Electricity (EVN), total output of solar energy and wind power will account for about 0.42 percent, 0.53 percent and 1.1 percent of the total country’s supply in 2018, 2019 and 2020, respectively. In addition, Decision 37/2011/QD-TTg on the mechanism supporting the development of wind power projects in Vietnam, and Decision 11/2017/QD-TTg on the mechanism for encouragement of the development of solar power projects in Vietnam stipulate that wind and solar electricity prices are equal to 109.4 percent and 131.1 percent of the current average electricity retail price (more than VND1,622 per kWh), respectively. However the development of renewable energy sources is facing many difficulties, including policy, technology, the cost of exploiting solar energy and wind power, and its integration into the national grid. In addition, the selling prices of solar energy and wind power are currently not attractive enough for investors. According to the Electricity and Renewable Energy Department, to ensure good and sustainable development of renewable energy sources, a number of solutions need to be implemented. First, there must be development planning and a reasonable and synchronous investment plan. It is also necessary to make sure that the national grid can absorb all solar and wind-generated electricity. In addition, encouraging power users and units to install energy storage systems, applying advanced technologies to limit the adverse impacts of renewable energy sources, implementing a number of power management programs, and adjusting power loads to optimize the development of renewable energy sources are underlined. Vietnam, the south central coast, the Central Highlands, and the southwest region.